Companies that strive to reduce workplace hazards using a carefully considered strategy have a lot to gain. Not only do they improve the lives of their employees but they also encourage economic success. HSE estimated that between 2015 and 2016 the cost of injuries and ill health from current working conditions was £14.9 billion. The road to these improvements starts at creating a people-based health and safety strategy. Insights from your employees and input from other directors will help you shape a plan of action that cultivates exceptional results. To help you succeed, we put together our top tips on building a risk prevention strategy. Protect workers’ welfare and catapult your business growth. Understanding your business’ current health and safety status will help you identify areas for improvements. And that’s your main goal here. You’ll only reap the benefits of your health and safety strategy when it’s 100% effective. Using past accidents and incidents to assess your current crisis capabilities is smart. But not if it’s you’re only measurement tool – past performance isn’t always indicative of future performance. Ask your staff to fill a survey, like the HSL Safety Climate Tool. This allows you to measure the perceptions of your workforce for accurate insights. Organise a health and safety evaluation for a professional outlook. At Vita Safety, we help organisations assess their risk profile across every potential impact to ensure optimum protection. Actively participate in the evaluation process. Talk to teams, look at existing standards and conduct self-audits (or commission independent audits) to reveal opportunities for improvements you can rely on. Take into account other directors’ opinions. Comparing such views will help you get a clearer picture of your health and safety status. This can be completed using a leadership diagnostic tool during an IOSH Leading Safely course. Once you have concrete data on your current standards you’re ready for the next step. When Yvon Chouinard started Patagonia, the company’s mission statement was, “to make the best product, period.” But after a series of events – for instance, a store in Boston was shut down after employees became ill from poisonous air in the building – Chouinard wanted to redirect his focus towards making the workplace safer. “Build the best product, cause no unnecessary harm, and use our business to inspire and implement solutions to the environmental crisis”. This specific and inspirational message grew the company from seedling to tree: it is now worth around $1 billion. A vision like Patagonia’s that’s specific and easy to picture gives your employees something concrete and achievable. For a vision to become reality, it also needs to inspire others into action. The more invested your employees are in the business’ vision the more effective it will be. Make this happen by including your people in the mission statement. For example, build your new vision on the employee insights you gained during evaluations i.e. We based this on where you think we are and the direction you want the business to move in. We aim to continually improve as a business but we need your help to make it work. That way, not only are you being relevant but you’re also basing your vision on reliable data. That’s a surefire route to achieving better health and safety standards in the long run. …are no more valuable than the paper you write them on. Only through positive action will you convince employees and customers that you’re delivering on your promises. Do this and you’ll build a powerful reputation. Create environments that are as safe and worker friendly as possible taking profit from increased uptime. Look after their people to retain and attract more talent. This decreases the cost of recruitment and insurance while reducing employee absences and downtime. 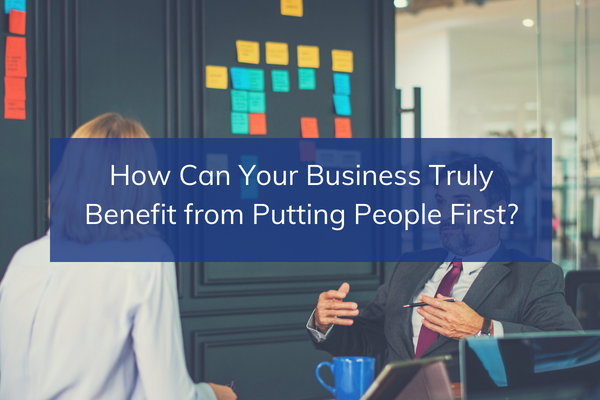 By raising your health and safety standards, the revenue you save through employee retention, increased productivity and better customer loyalty can be reinvested back into the business. Your company can grow and become even more attractive bolstering your revenue further. If we rush to make improvements, we can burden other areas of the business; finance, marketing, operations, people etc. For instance, giving employees new responsibilities without relevant training can make their efforts futile. Do our people have the best tools and equipment to do the job? Are our managers effectively trained to lead and manage health and safety? Do we really understand the risk profile of our business? What data do we have to support this? Is health and wellbeing on an equal footing to safety? Giving your people time and relevant training to adapt to new strategies is the key to a successful transition. Number of accidents. Accident frequency rates. Are these the most effective measurements for health and safety management performance? They’re one dimensional: you need to measure opinions, feedback, audit analysis and the quality of your working environments. Or else you can’t accurately analyse situations or predict outcomes providing unreliable data to work from. Colleague opinion – reviewing the surveys and holding open discussions. Trying to focus on what has gone well and why not just assumed failings. Feedback on learning and development. Feedback from a range of employees, new to the business and those who have been with you for a while. Reviewing the learning from successful projects. Analysis of inspections and audits – sharing hot spots and repeating hazards for ideas for improvement. Visible standards – photographs of housekeeping, orderliness and workplace standards. Participation – measuring levels of involvement in health and safety. Improving activities – what percentage of colleagues are actively involved in health and safety improvement? With a 360 degree view of your health and safety activity, you can monitor performance and budget accurately for training. The result is fewer accidents and larger future gains. 137 workers were killed at work in the UK last year. The number of fatalities has remained broadly level for the past decade. What can we do to be the year of drastic change? There are a lot of reasons why your health and safety standards might not be high enough. Experience in the industry has taught us that lacking knowledge and skills is the most prevalent cause. The support and knowledge you need to improve health and safety management is available. We have helped many directors and businesses facilitate an effective strategy. This is achieved using a risk-based approach. We help you identify your health and safety training needs and give you advice on the best training option. Learn about our IOSH or alternative training services and how they can ignite revolutionary business improvements today.